For more than 150 years, Winchester has set the standard for ammunition of all varieties. 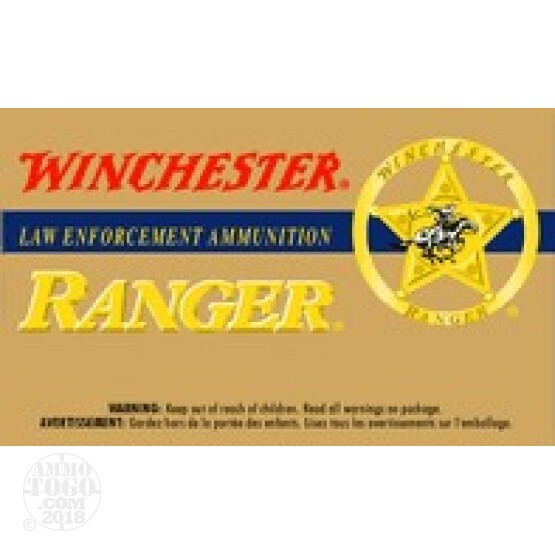 One of the most respected names in the shooting world, Winchester's Ranger line was developed to meet the demanding requirements of law enforcement duty rounds. Originally manufactured for a military contract, these 9mm rounds are leftover inventory. Headstamped WCC with the NATO Cross, this ammunition meets all US and NATO military specifications. Each cartridge is loaded with a non-corrosive boxer primer and a 124 grain full metal jacket (FMJ) projectile. These rounds offer positive functioning, zero expansion, dependable accuracy, and no barrel leading. Perfect for target shooting and tactical drills, these rounds are the pinnacle of American-made range ammunition. This new production ammunition produces a muzzle velocity of 1185 feet per second and a muzzle energy of 387 foot pounds. Each package contains 50 rounds of 9mm Winchester Ranger NATO.